To create multiple listings for the same product on eBay is only possible if each of the listings have a unique title. With this comes the difficulty of having to load multiple titles against the same Linnworks Inventory Item. 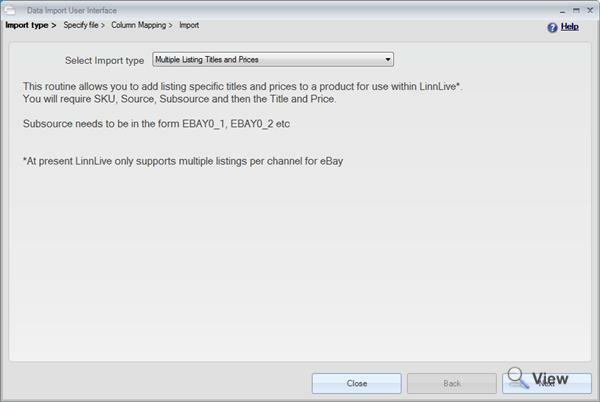 Linnworks along with Linnlive provides the functionality to be able to have independent titles and descriptions for each of these eBay websites and list to all sites from a single eBay account channel. This means that you only have to have a single item within your inventory but can have it selling different titles. The data import tool allows you to import prices, titles and descriptions for each country. Go to Linn Systems > Linnworks > Tools > Data Import. Select Multiple Listing Titles and Prices from the drop down list and click next. Choose the file you wish to import using the 'Select' button. A preview of the first 100 rows of the file will be displayed. 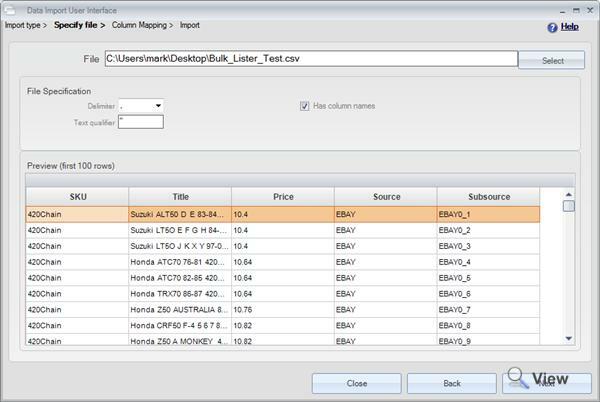 Column Mapping screen allows you to map columns in your CSV file to types being imported. Price – product retail price – the values in the CSV file must be numeric. 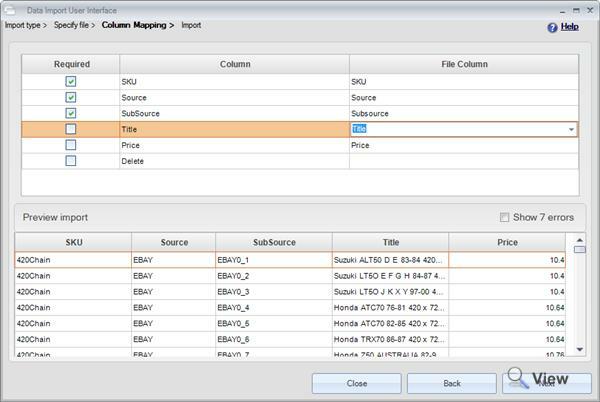 To map the columns select the appropriate colum from the CSV file by picking from the drop down available in each row. Click Import to being import process. To create listings using the multiple titles please refer to the following documentation.